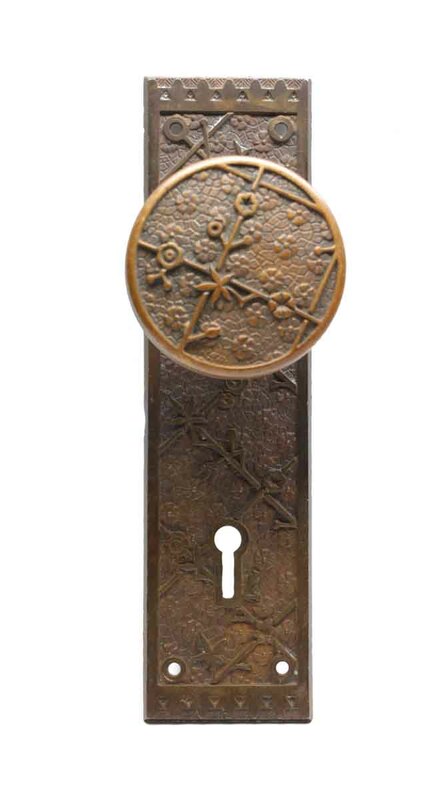 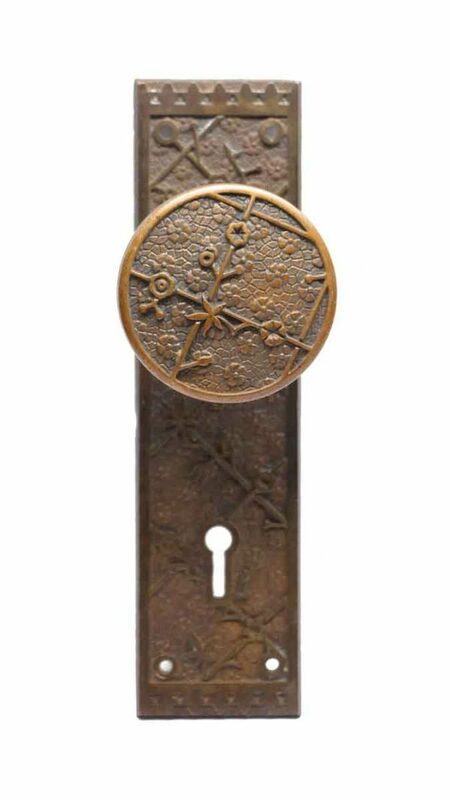 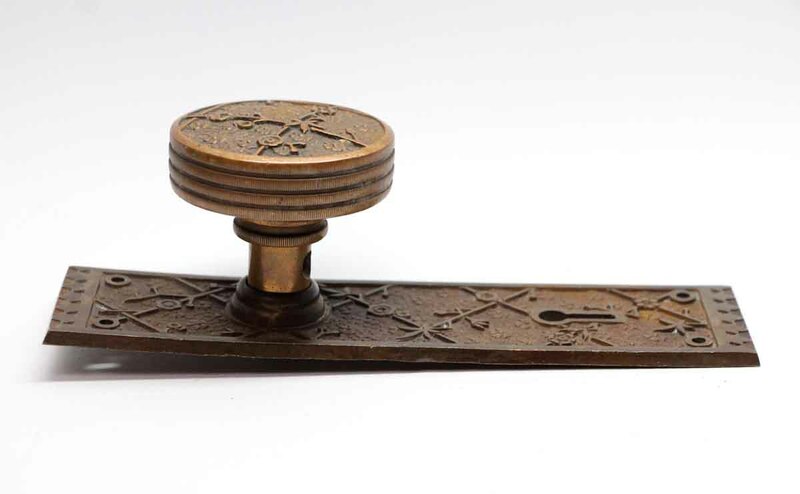 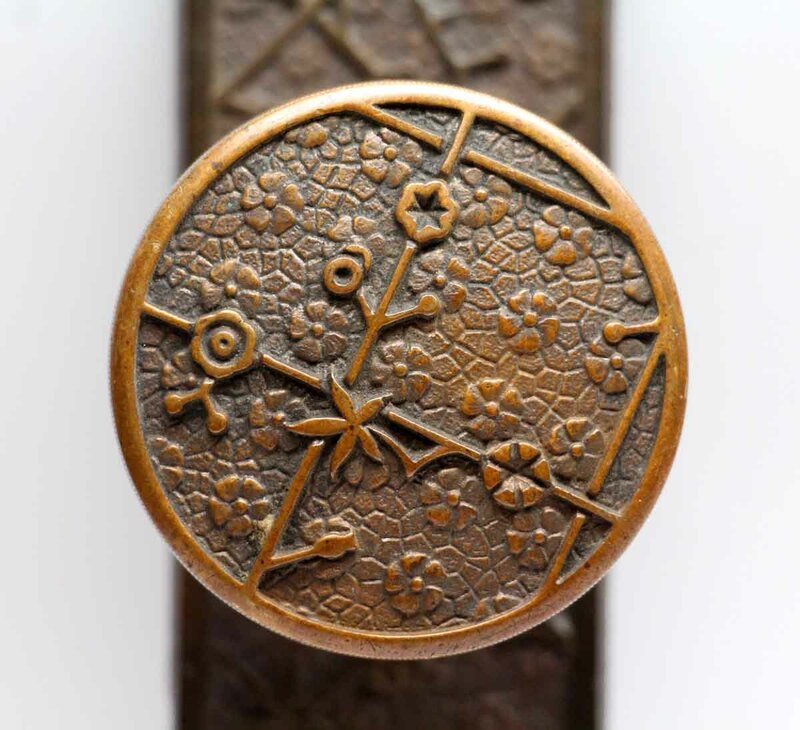 This Vernacular style bronze knob was made by Sargent in the 1885 catalog. 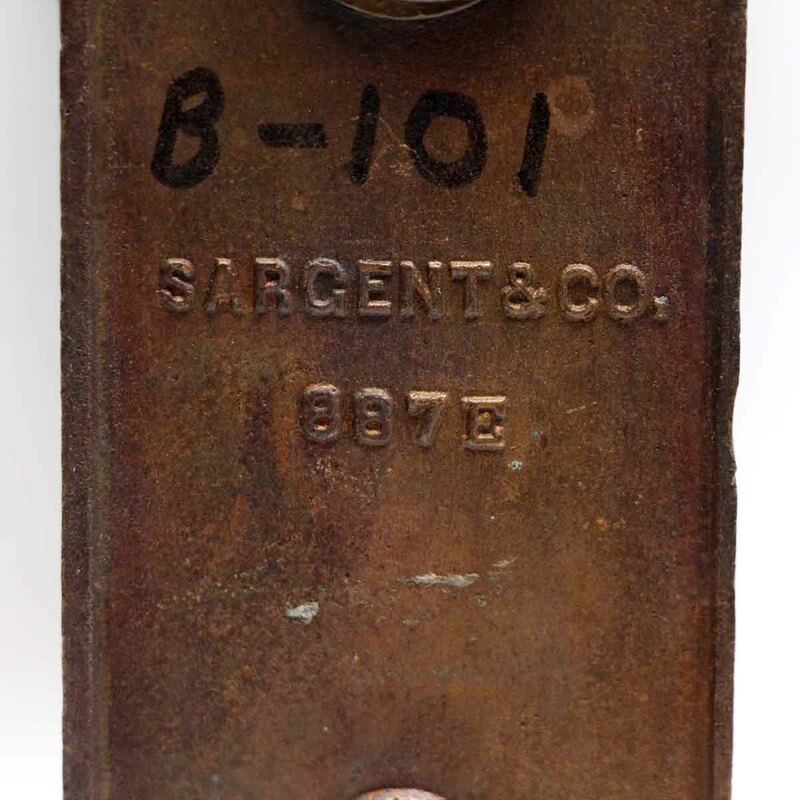 It is part of the B-10200 Ekado group. 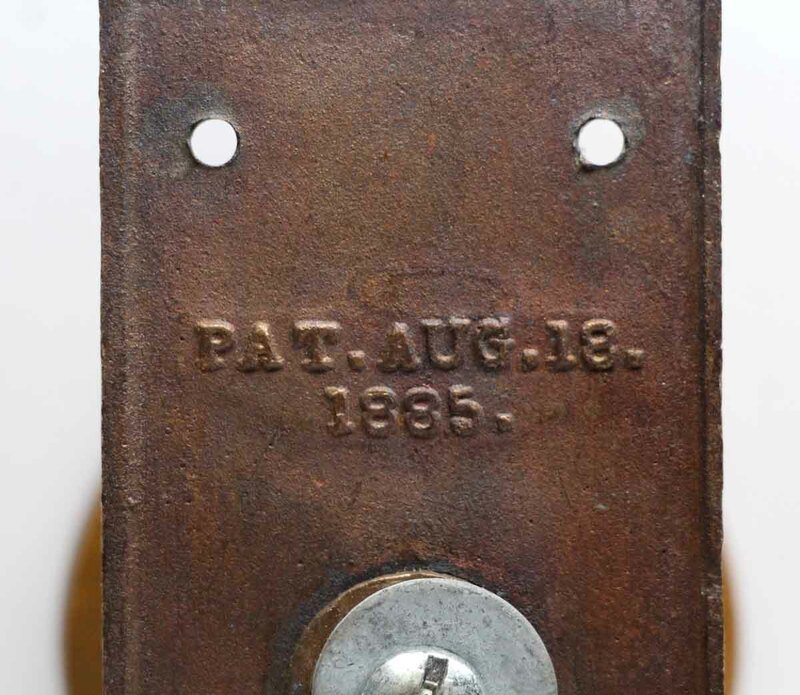 The background is based on design patent #16,205 and the plate is inscribed with the patent date August 18, 1885 and 887E. 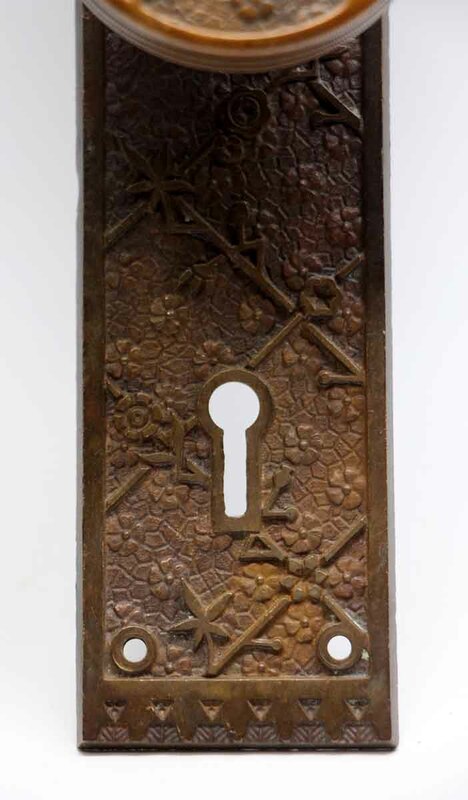 Design is by Hermann Jaworski. 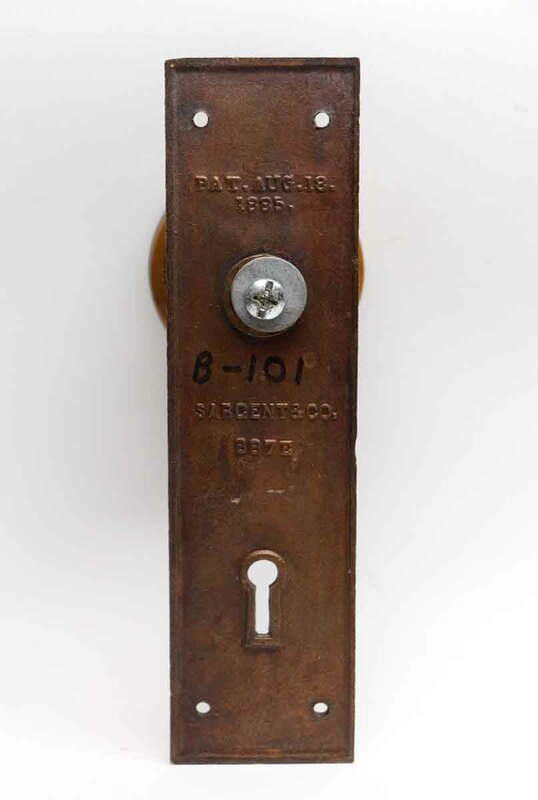 This was used as the basis for several Sargent knobs. 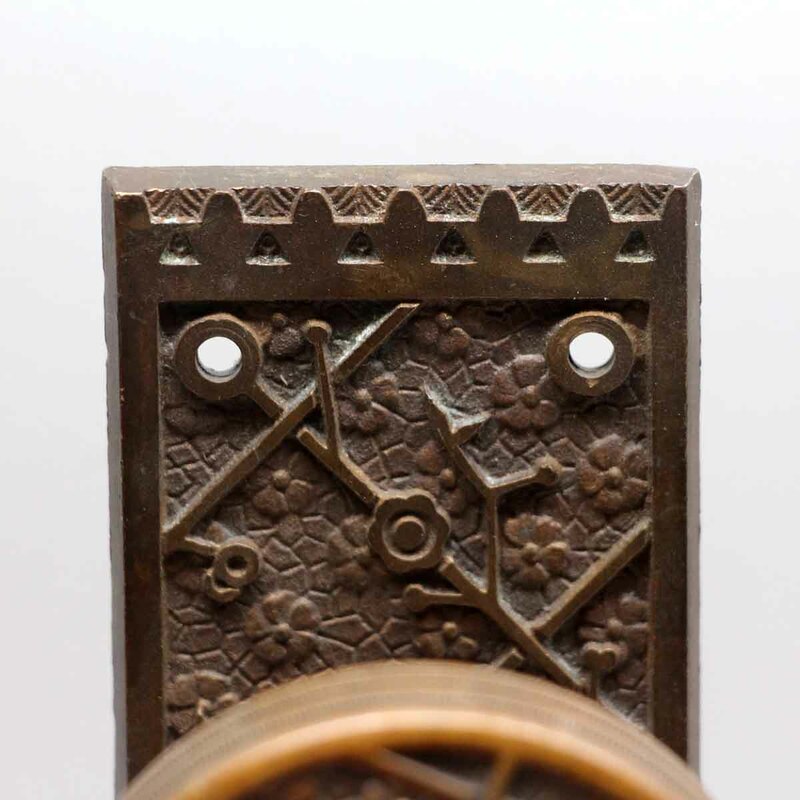 Set includes one knob and one plate.